Businesses and Government organisations with products and/or services that relate to the manufacturing sector in Australia are encouraged to have a look through our platinum sponsorship packages currently available. Established in 2010, Australian Manufacturing has been clearly focused and driven towards building a platform for the manufacturing sector to prosper and grow. 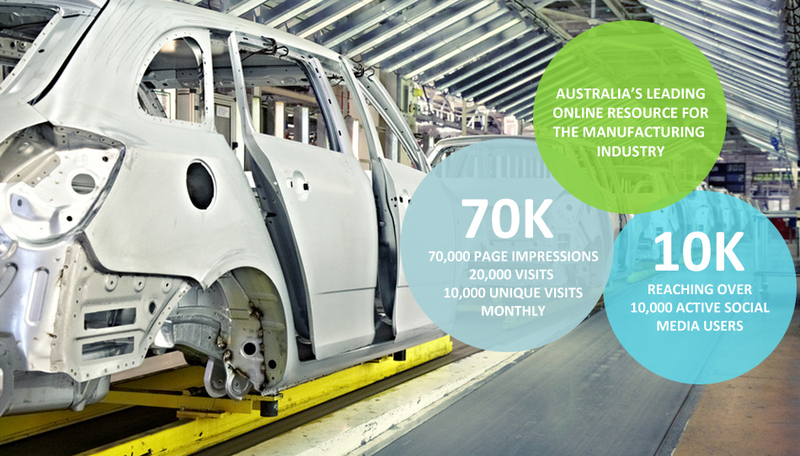 In just over three years, Australian Manufacturing has grown by an average of 400% each year, to now be viewed as one of the leading online news sources for the manufacturing sector. And, we have a vision to add more value! All capital raised will go towards servers, web developers, and hiring additional writers. Rising costs in day-to-day operations have placed a strain on our opertaions, and we are currently opening up our platform for commercial interests – seeking to find partners in relevant fields – to sponsor our magazine, and help contribute to its growth. There are four equal-share sponsorship positions available on Australian Manufacturing. • 1/4 Equal Share MREC Ad Spot. • Logo with link at footer of site. Download our 2013 Media Kit here.